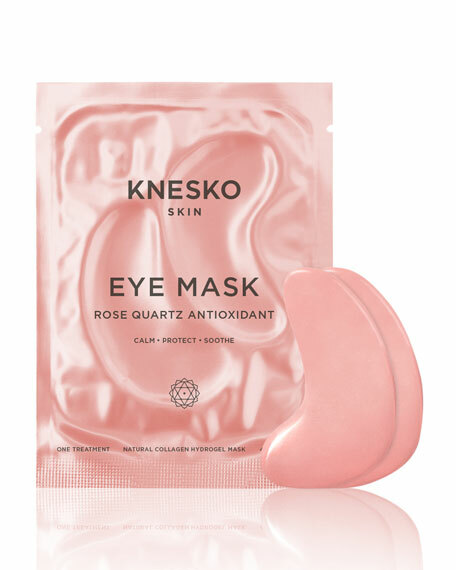 Rose Quartz Antioxidant Eye Mask Collection use GEMCLINICAL® technology which blends the special properties of precious minerals and gemstones with proprietary skincare formulas packed with active and clean ingredients. All the products are then charged with loving, healing Reiki energy promoting a state of total relaxation and well-being. Rose quartz, with its pink hue and gorgeous crystalline features, is the very embodiment of nature's love. It radiates a very special vibration just by holding it in your hands. Even the ancient Egyptians believed this powerful stone could prevent wrinkles and other signs of aging! And they were right. 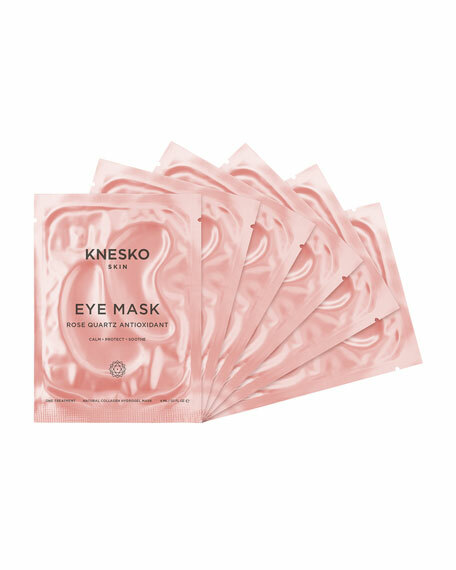 A beautiful marriage of modern skincare technology and ancient spiritual traditions, our rose quartz eye masks invoke the power of universal love; arguably the most powerful, beauty-enhancing energy on Earth. Natural, results driven, cruelty-free, nontoxic, reiki energy charged, chakra balancing, paraben free, hypoallergenic, ophthalmologist recommended. 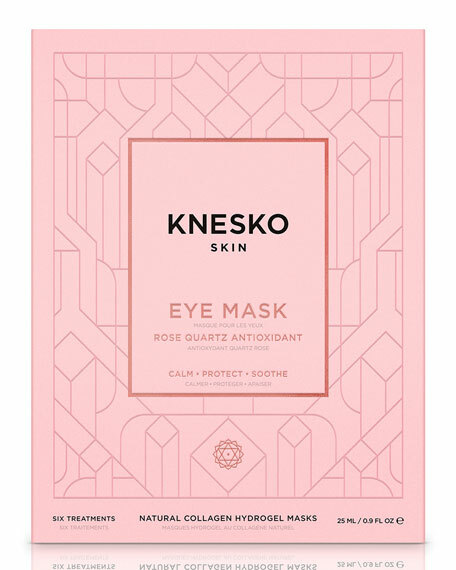 Knesko blends science and spirituality with its proprietary Gemclinical skincare technology. Developed by Reiki Master and company founder Leila Cas together with a team of doctors, these serum-infused collagen gel masks use precious gemstones and minerals along with active and clean ingredients to give your skin a beautiful glow.